Golden is renowned for its outdoor recreation. But when the weather is snowy, what’s the best way to keep up with your fitness routine? Yoga – Golden is home to many yoga studios so if the weather keeps you off the hiking trail, how about trying out a yoga class? On March 6, join in PranaTonic’s First Friday Frolic with a Vinyasa Yoga Class from 6:00 – 7:00 pm followed by food, libations, door prizes and socializing. 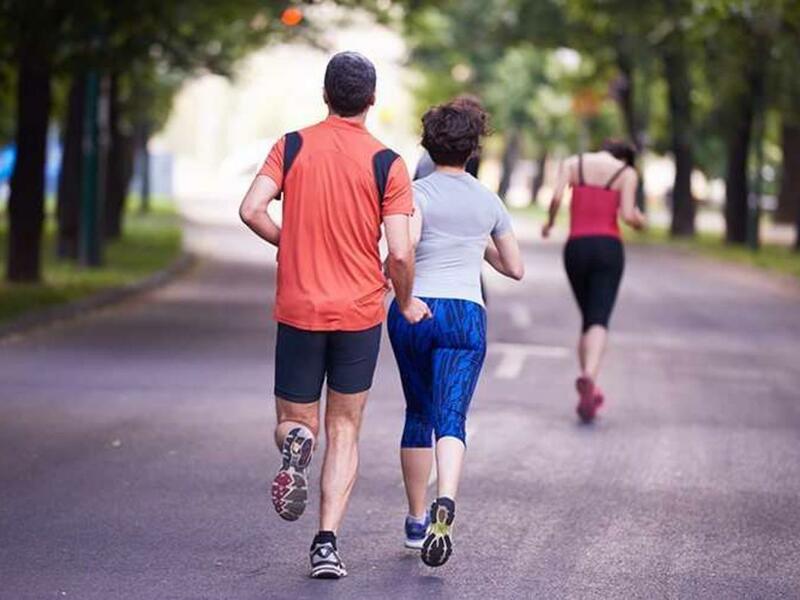 Running with a Group – Running with other people is especially motivating when the weather is cold. Find your inspiration by joining in the weekly runs from Runner’s High every Thursday at 6:00 pm. Pilates – Another great indoor workout is Pilates. A strong core is essential and Pilates helps sculpt those abs and strengthen your back. Check out Golden Pilates. Rock Climbing – While the ice may keep you from climbing North Table Mountain, you can challenge yourself indoors at Earth Treks Climbing Center, Colorado’s premier indoor climbing and bouldering gym. Don’t forget about the classes and work out facilities at the excellent Golden Community Center, a 71,483 square foot multifunction recreation facility beautifully situated in Lions Park. And finally, don’t be surprised to see Goldenites out in all types of weather. This hearty group of citizens won’t let a snowstorm slow them down! Many of the hiking trails are great spots to snowshoe. One of our favorites is the Lookout Mountain Nature Center. Golden is a perfect place to work out – no matter what the weather.